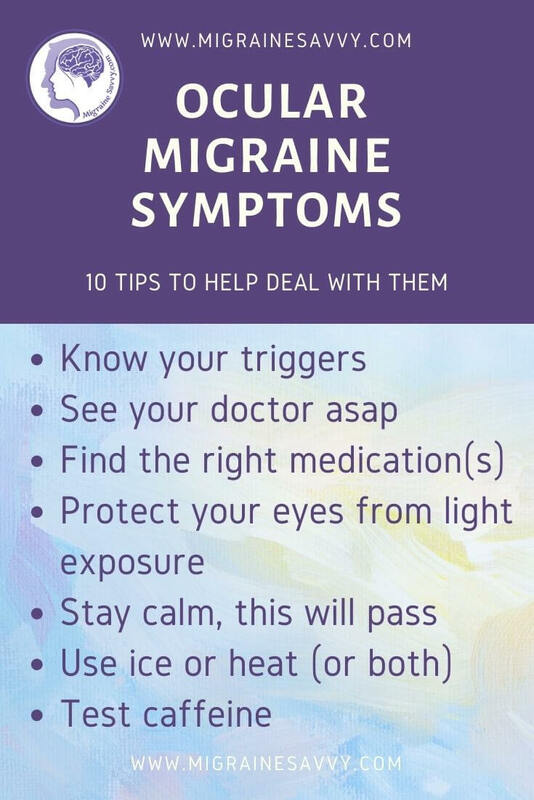 Here are 10 tips to help deal with ocular migraine symptoms so you know what they look like, and then what you can do to stop, reduce or relieve them. 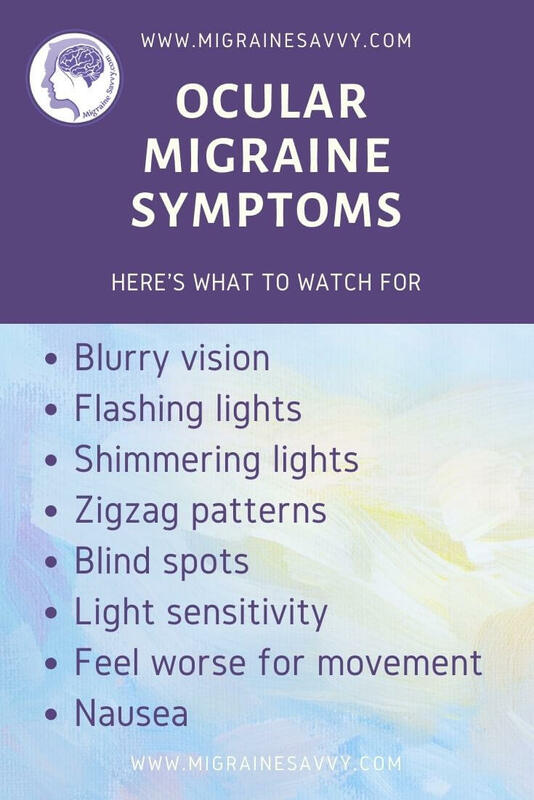 Ocular migraines are rare and just like classic migraines it is important to learn and avoid your triggers and find ways to reduce your symptoms. 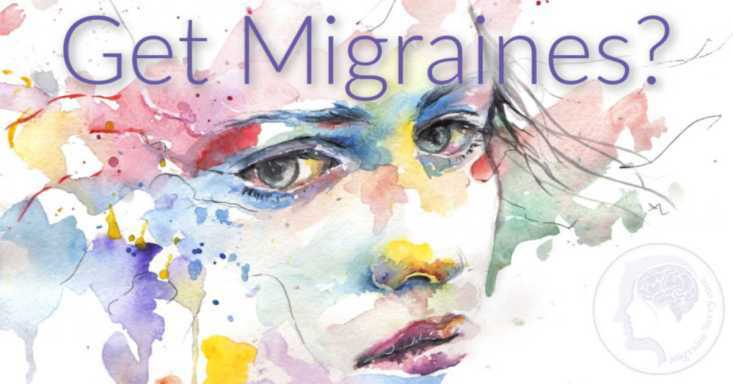 Ocular migraines are not necessarily associated with a headache or a migraine pain phase. These episodes occur when the blood flow in the brain responds to a trigger. These triggers can vary from bright lights, foods, medications or even hormones. 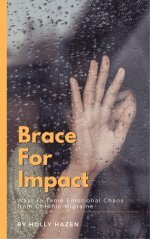 Just like those associated with classical migraine headaches. In response to these triggers, the brain may produce light patterns, which can include blind spots or zig-zag patterns. The ocular migraines are quite different from the regular migraines. 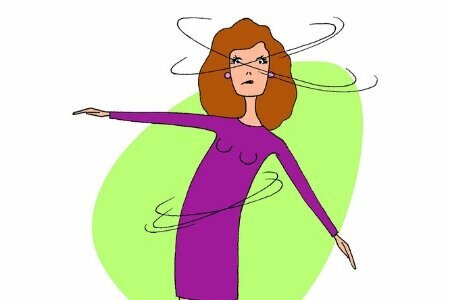 It is quite normal to have an optical migraine aura without headaches. 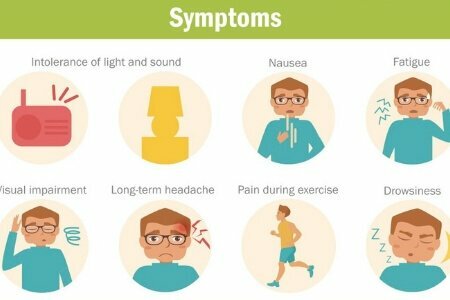 The first symptoms occurring can appear to be like flashing lights, blind spots or zig-zag patterns. When these start, taking a pain reliever can help relax the nerves in the brain and can possibly help prevent a headache from accompanying the ocular migraine. 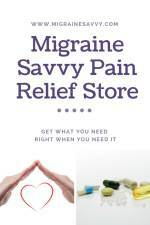 See your physician to find the best medication to take to stop your ocular migraine symptoms with your unique body. You may need a stronger medication if this progresses to the nasty pain phase. There are a lot of things that are still not known about the ocular migraines. Drinking caffeine, in any form that you like such as soda (I don’t recommend soda, too much sugar!) or coffee, may help alleviate these symptoms. We don't know for sure, at this time, if the caffeine actually helps the ocular symptoms, or just stops the migraine from progressing, and stops the headache pain afterwards. It is well worth a trial and error experiment, if you don't drink coffee every day already. 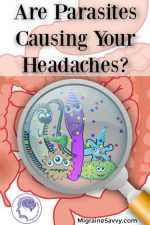 You can read more about using caffeine as a migraine treatment on this post caffeine and migraines. One thing that might help is the wearing of sunglasses inside or out! Polarized sunglasses, in particular, can help protect your eyes from the glare of interior lighting or computers. There are times when the light is actually the trigger for the ocular migraine and sitting or lying in a dark room can be very beneficial. If this is not possible, shut your eyes and try to rest for at least 15 minutes. For example, looking at this picture feels like it is triggering a migraine for me. So glare is definitely a trigger for me. But I never leave the house without my polarized or migraine tinted sunglasses. These are great - Axon Optics Therapeutic Glasses for Migraine and Light Sensitivity and Theraspecs Migraine Glasses: Classic Therapeutic Lenses. Common sense will tell you that if you have ocular migraine symptoms while driving, pull over and stop the car. Make sure you have a mobile or cell phone with you to call someone to come and get you. You can always get the car later. Or call a taxi so you can get home and rest. Resting for at least 15 minutes might help - try lying down in the back seat and covering your eyes for complete darkness. Do not attempt to operate machinery or drive while experiencing an ocular migraine. Stay Calm, This Shouldn't Last Long! One of the best things which you can do is to stay calm. Typically the ocular migraines last ten minutes to an hour and are not known to have long lasting effects. The more you can relax and avoid stress until the symptoms disappear, the better off you will be. 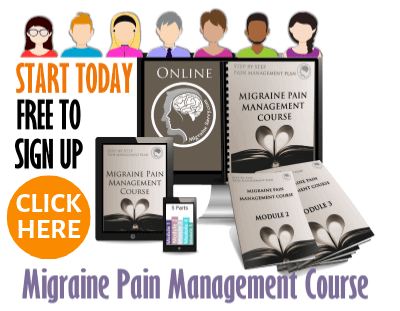 Plus, once you learn your early warning signals of your ocular migraine symptoms, you will know what to do and feel more in control. You can take action to take care of yourself faster. Although typically, the ocular migraines do not cause damage, see a doctor to double check. The doctor can prescribe medication such as Cafergot, which slows down the blood flow changes and can help to relieve the pain during or following the ocular migraine. Your condition may be another more serious problem such as retinal detachment or an aneurysm. So it’s important to rule out the serious stuff first. 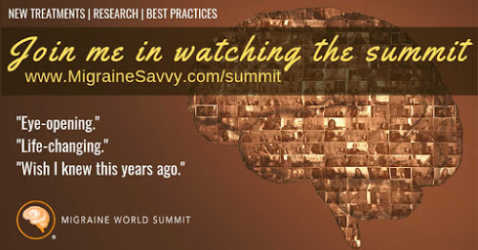 Keep a log of events that trigger your ocular migraines. 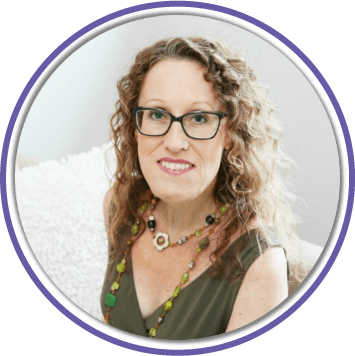 Once you have figured out what typically triggers them, you can avoid them wherever possible. Learning techniques of massage can temporarily help with your migraine. Massaging certain areas of the head and neck have been found to be very helpful. 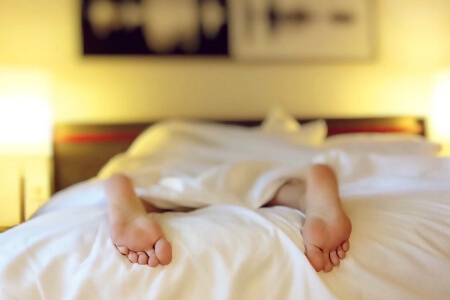 Have a look at my post on DIY migraine pressure points for some effective points to press when you feel the inner alarm from the warning signals. Lie down, close your eyes and place a cold slightly damp washcloth over your eyes. Hot or cold doesn't matter, use whatever calms the symptoms. This helps best if you can be resting in a darkened, quiet room. Tell people what you are doing and that you need to be quiet and silent for half an hour or so. Then just try to drift away and think about walking through the garden, all shaded and safe. Some people suffer from other symptoms such as dizziness, double vision, nausea, vomiting, sweating or intense eye pain. Take your medication as soon as possible or see your physician. It is not uncommon to sleep for a few hours after an ocular migraine. This usually helps quell the left over symptoms and then you typically wake up refreshed and feeling much better. Ocular migraines are not common and one of the most important things is to attempt to figure out what your triggers actually are and then endeavor to avoid them. This should help to decrease the frequency of your ocular migraine symptoms and attacks. 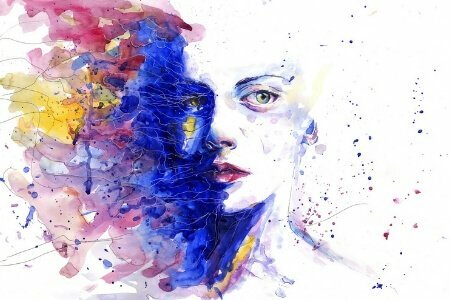 I think the best way to cope with some of these symptoms is to rest in a nice dark room with ice packs or a sinus mask on your eyes or a warm wet face cloth. Nice and quiet, calm and peaceful. Find out if if you get more relief with ice or heat, from your ocular migraine symptoms and use that next time. Learning what works as you go can be trial and error, but persevere... it is worth experimenting until you find what works. Listening to a soothing meditation or relaxation CD can help calm you down while you wait for the symptoms to pass. 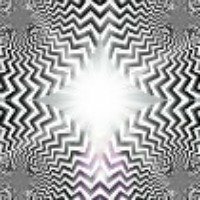 Migraine Headache Music lists a variety of meditations and relaxing music (I love) you can download right now. How do you cope with your ocular migraine symptoms? Let us know here. At first I experience a slight problem reading. I can't focus on the center of the word, and I can only see the perimeter of the word. Then the zig zags start in both eyes. This was very frightening and still is to a certain extent, until I read a lot about ocular migraines. I read things like: they can last some time, and the heart rate can sometimes spike and go up to 170 or 180 systolic for about 15 minutes. This seems to be very true with my condition. Sometimes I get a migraine headache afterwards, and sometimes there is no headache. My neurologist suggested that I take my blood pressure while this is happening. I have done that with most of my attacks since then and it's true my blood pressure has spiked. To add answers or comments about this page please use this contact form. Please enter your title and add this page reference: [Ocular Migraine Symptoms].